All I know of Oxxus the Bim is that he is a traveler who wrote and illustrated a set of journals. I was lucky enough to come across these journals in a second hand book and toy store in Bristol and have made it my mission to translate the contents. 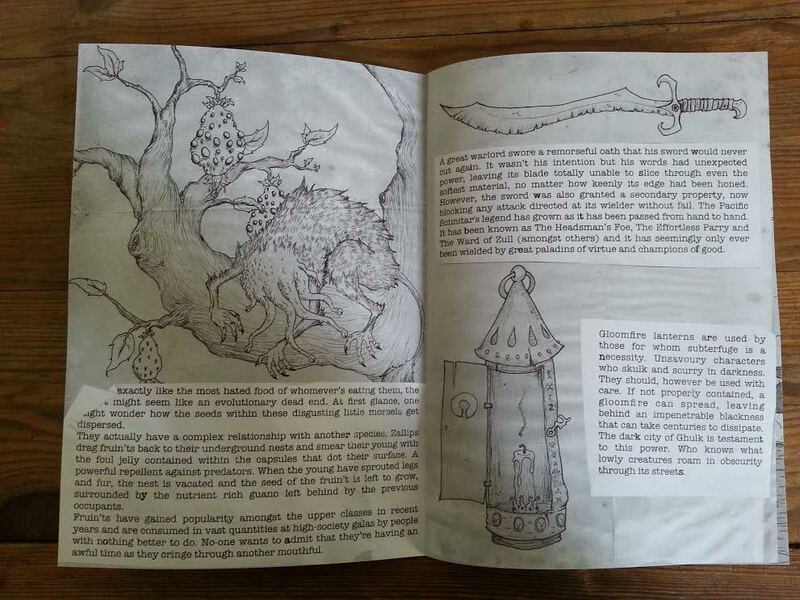 The journals contain illustrations and descriptions of some of the fantastical creatures, artifacts and locations he encountered. Whether any of what's documented is real or not is for the reader to decide. I simply present the contents for interest's sake. This is a selection of extracts from his journals along with my translations.